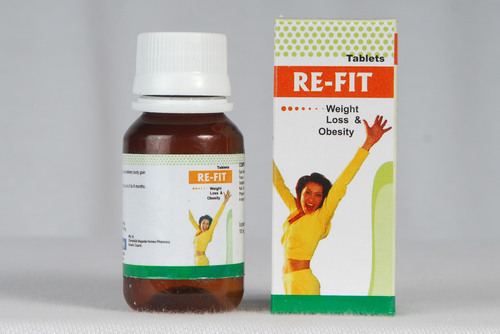 We are engaged in offering our clients a wide array of Re-fit Weight Loss Homeopathy Medicines. These are effective for reduced body weight, higher blood cholesterol level, obesity, weight loss and post delivery body gain. The Homeopathy Medicines are appreciated for their purity, hygienic formulation, no side effects and longer shelf life. These can be availed at competitive prices by our clients based across the nation and overseas. Honorary homoeopath to his excellency governor of Gujarat. Super specialty Consultant homoeopathy physician. Ex-member of nominee advisory committee govt. of Gujarat. Member of central council of homoeopathy Internationally renowned lecturer. Columnist in leading newspapers. It is gratifying to facilitate healing when nothing else has helped. It is a sacred and beautiful process. He feel privileged to be a homeopath. SUPER SPECIALTY Dr. harshad Raval has super specialty in diagnosis & cure related to kidney, cancer, heart disease & arthritis, skin disease, Leucoderma, asthma, sexual problem, mental problem and other chronic disease. EDUCATION:  Graduation in homoeopathy from A.J.H. Sawala Homoeopathic Medical Collage. Doctorate in Medicine from Ahmedabad Homoeopathic Medical College. HOMOEOPATHIC ACTIVITY:  He is the honorary homoeopath to His Excellency Governor of Gujarat. He is honorary attached with Dr. Nit in Suman Cardiac Research Institute, Ahmedabad. He is lecturer and examiner with the Gujarat Homoeopathy Council of The Govt. of Gujarat. INTERNATIONAL: During his 18 years of its private practice, he have visited many countries For the development for homoeopathy. HOMOEOPATHY SOFTWARE: He is in the process of developing software related to homoeopathic Counseling. COLUMNIST: He is doctor as well as homoeopathic columnist. He have written a large Number of articles on homoeopathic treatment, mainly in leading newspapers Like Samabhav, Sandesh, Loksata, Times of India and Gujarat Samachar. Dr Harshad Raval has been selected in the panel of Doctors appointed by O.N.G.C Ahmedabad (Govt. Of India).